This 1/2″ aluminum take-apart coaming will be retro-fitted to the Sea Rider with a glued PVC sleeve. 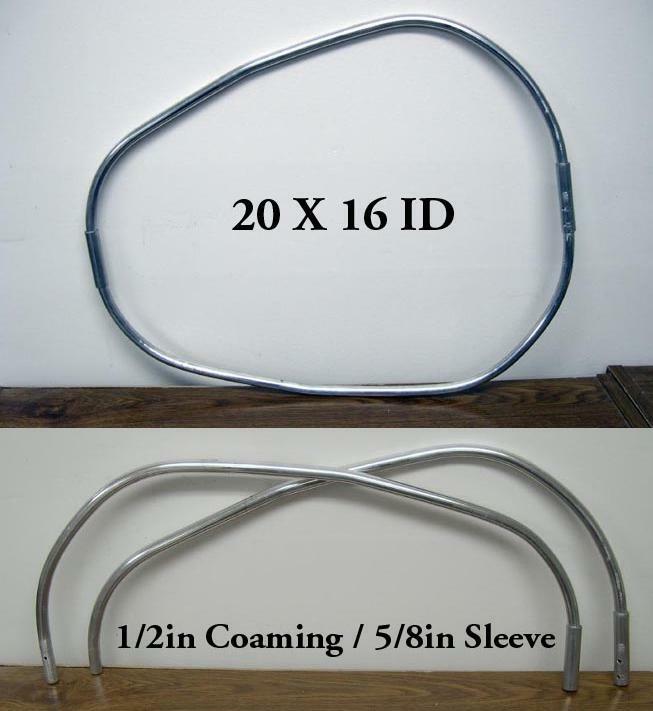 The tubing was shaped using an inexpensive tube bender. A small 5/8″ sleeve connects the two sides of the coaming. Note: 1/4″ inserts work better than the 5/8″ sleeves, but I was out of 1/4″ rod at the time I constucted the coaming.